The age-old question of whether lawyers should be blogging presents itself again at Above the Law’s Academy for Private Practice. 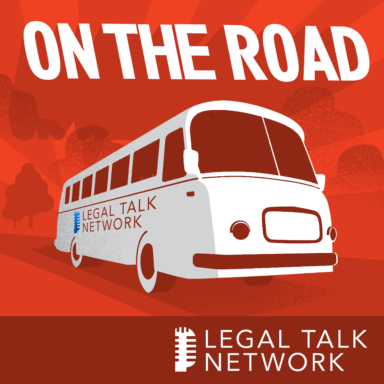 In this Special Report, conference panelists Jeff Bennion, Jeena Cho, and Lisa Solomon talk with Thinking Like A Lawyer hosts Elie Mystal and Joe Patrice during the event. Together, they discuss which lawyers should blog and why, how social media can replace legal blogging, and how much personal information you should share. Jeff Bennion is of counsel at Estey & Bomberger, LLP, a firm specializing in catastrophic injury and mass torts. In 2014, Jeff was appointed to the Executive Committee for the State Bar of California Law Practice Management and Technology section, where he serves on the education subcommittee and the electronic newsletter subcommittee to provide guidance to California attorneys on how to run their practices more efficiently using technology. Jeena Cho is co-founder of JC Law Group PC, a bankruptcy law firm in San Francisco. She offers training programs on using mindfulness and meditation to reduce stress while increasing focus and productivity. Through her two companies, Lisa Solomon, Esq. Legal Research & Writing and Legal Research & Writing Pro, Lisa Solomon assists attorneys with all their legal research and writing needs. This includes preparing and arguing appeals, drafting dispositive motions and trial memoranda, and showing other lawyers how to start and run successful practices as contract attorneys.